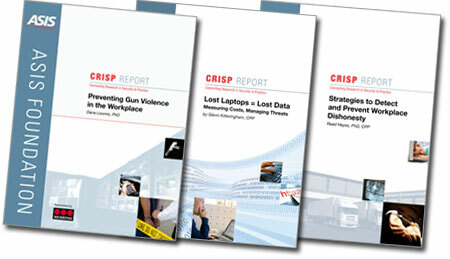 Martin Gill is editor of the ASIS Foundation’s ‘CRISP’ series, which stands for ‘Connecting Research in Security to Practice’. And the tenth report in the series has just been published. It is called Situational Crime Prevention and Supply Chain Security, and it is authored by Dr Harald Haelterman. It provides a reference guide on how best to approach the introduction of situational crime prevention program in a business environment. The report focuses on situational crime prevention in domestic and international supply chains and suggests a six-stage approach, it emphasises the importance of addressing challenges early in the process and focusing on the selection of alternative measures to mitigate identified and acknowledged risks.